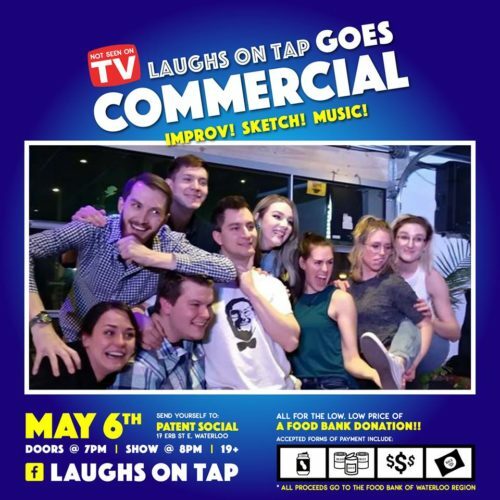 Join Laughs on Tap, an improv and sketch comedy troupe as they perform at various venues in KW. Great local entertainment for the admission price of a non-perishable food or fund donation to The Food Bank. Remember, $1 provides 3 meals! Click here for more information and upcoming shows.